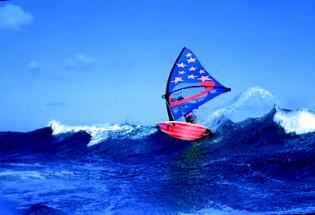 Besides Hawaii, Barbados is one of the best wave windsurfing spots of the world. The chances of wind are high and the waves are perfect for jumping and waveriding in sideshore winds. Not only wave cracks, speed freaks and beginners as well will find dream conditions in the 27°C warm waters of the South Coast on this most easterly situated Caribbean island. 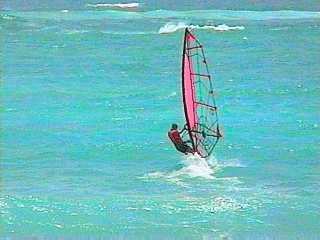 The best time to spend your windsurfing vacation in Barbados is the period of time when the cooling trade winds blow with high consistency over the island's shores, namely from mid November to the end of June. But that does not mean the rest of the year couldn't be as good or even better. During the hurricane season which starts 1st of June all the way through to November all sorts of conditions are possible. The trades usually blow at a moderate windspeed. Mostly used sails are 5.0 - 5.5 m2 followed by a sail size around 4.7 m2. But it definitely does not mean you should leave your 4.5 m2, 4.0 m2 or 3.5 m2 at home. The waves in Barbados are by far not as mighty and powerful as in Hawaii, although they can reach mast high and above. They can be excellent quality waves and they are forgiving. Compared to Hawaiian waves, they are slower and not as powerful but as perfect to be good enough to let a top wave professional have a good time. On the other hand, wave beginners don't have to really fear anything. Get information from a local before your first ride out and you will be fine. The spot to windsurf in Barbados, is the area of Silver Sands, where the conditions are challenging yet forgiving. To describe Silver Sands in one sentence: it is a wonderful spot for beginners and top guys alike. For Board rentals and spare parts, Brian Talma's shop at Silver Rock is the first address. Come September a group of hotels clustered around the southern tip of Barbados start receiving an influx of reservation requests from Argentinian doctors, Brazilian engineers, Japanese businessmen, German industrialists, European royalty, Italian fashion designers, Swiss bankers and American executives. The reason, an international convention, an offshore banking investment group, a special party for the super rich? .... NO .... they are coming for the wind, they are the wind hunters. 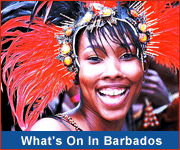 Looking for a Barbados surfing vacation? 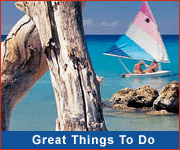 Click here for the perfect accommodations, activities and packages .